Stalking Gia has been a force that's been brewing under the ice for quite some time. 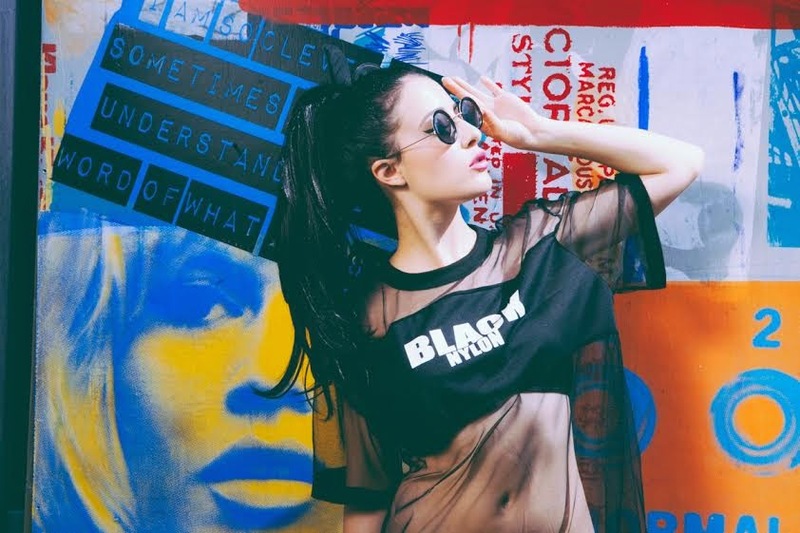 This New York artist has found herself releasing her debut single "War Paint" with a star-power video quite recently, and now she give us a second dose of this power on her follow up "Born Free". We caught up with Stalking Gia to chat a bit about her music and get a little insight to what's to come from this rising gem. Get to know this powerhouse act below and be prepared to be blown away by her latest release below. When did you release your first single? How was it to film a music video for your first release? "I had a lot a freedom with my first music video. I had a hand in all aspects; from the treatment to the makeup to the camera angles to the editing process… there was a lot that went into it. I’m super proud of the ending result. " You’re new song “Born Free” has so much power infused in it. What was your inspiration behind this track? "My intent with every song I create is to take a cinematic approach… I want to not only hear the music, but visualize it. That’s where the power comes from. It’s just how I was feeling in that moment." Did you always want to be a singer/songwriter? Where do you find your inspiration for your music comes from? "The answer to that is never ending… every song is born from a different experience. Inspiration could derive from life, film, photography, soundtracks, brief interactions, late night conversations, and so on. " Who are some musicians who you admire? "Beck, Dev Hynes of Blood Orange, Bon Iver… just to name a few current ones." If you could collaborate with any musician alive or dead who would it be? "I’d collaborate and fall madly in love with Elvis..we’d write a dreamy timeless love song and live happily ever after." Tell us three tracks you’re currently listening to on repeat. I Put A Spell On You - Annie Lennox"
Finally, can you tell us a little bit more of what you have in store for this year? "I’ll be releasing more music and more videos. Will also be performing a ton this year."